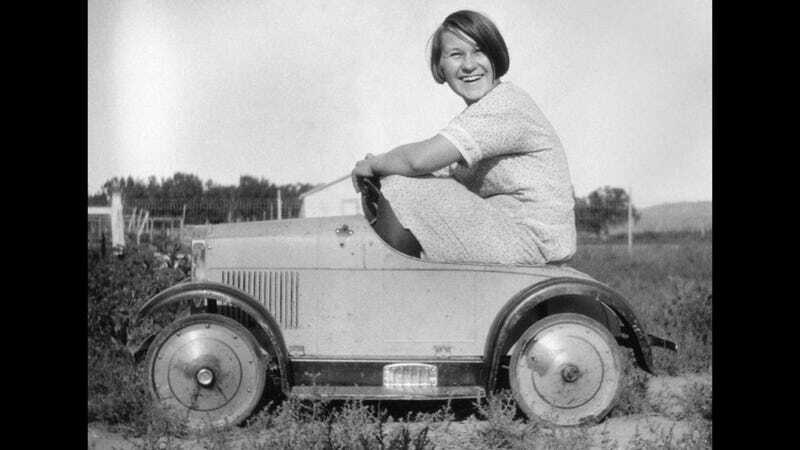 Today's discussion of how more women can be inspired to become gearheads was fantastic, so let's take a look at how our readership answered the question and discussed gender in car culture as a whole. We don't have time to quote every great comment (or even go into this morning's live chat Lisa Schoder, marketing manager for the Focus ST), so I'll just link to this story from Monsterajr about raising his girl to share in his passion, one that just happens to be for cars. - When she was very young (1-3) and would wake up early, I would take her out of crib and we would watch F1 together. Result: she can distinguish Michael Schumacher's car over Nico's and roots Michael on. - Bought her a "cozy coupe" and a hand me down pedal F1 car. Result: she can three point the race car better than my mom and races it against the neighbors in their electric cars. - I have her "help" me when I work on our cars. I let her use an old jack to jack up her car and she hands me my tools. Result, she now has her own tool kit and "helps" as much as possibe. - When she is in my car I will purposely take turns harder and accelerate harder (without any risk of real danger to us) to get her to laugh and yell. Result: she encourages/yells at me to go faster. I now have to tell her daddy could get a ticket so I am curbing that one a bit. Overall I am following in my Dad's foot steps. As a 6yo boy my dad would let me sit on his lap and steer his Alfa Giulia Super into the garage from our driveway, I would help him wash/clean/tune up said car and in general watched motorsports with him. Later on I developed my love of Road and Track magazine because he subscribed. I eventually ended up subscribing to R&T, C&D, Automobile, and AutoWeek as well as grabbing the occassional UK Car magazine. The short of it is, expose them to it at a young age, make it a positive experience and don't show a gender bias. There are other great comments from the discussion that I will just briefly link to. Scorpio GTX1: Deathclaw Hunter questions how the car industry and its commentators view gender as a whole. Pessimippopotamusbrings up a husband-and-wife story of Le Mans. Finally, both ThirdPedalGirl lost her Ferrarinity in Miami and auto blogger 2Wheel, 4Wheel, FreeWheel tell their own stories of becoming a gearhead. They all make great reading.